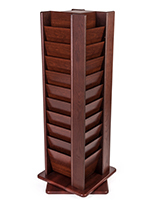 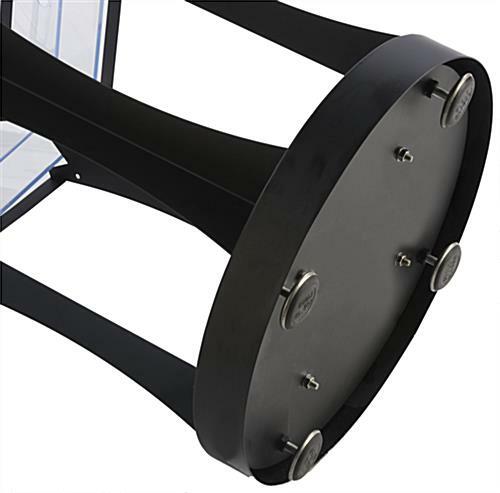 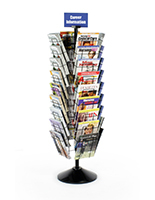 These spinning magazine racks are the perfect addition to waiting roomes and lobbies. 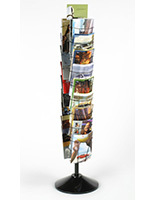 The aluminum base supports the 66" tall stand with ease. 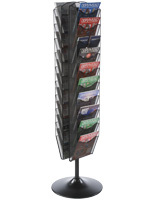 Each rotating rack has 40 pockets for storage. 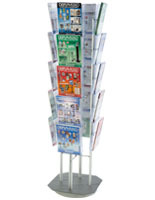 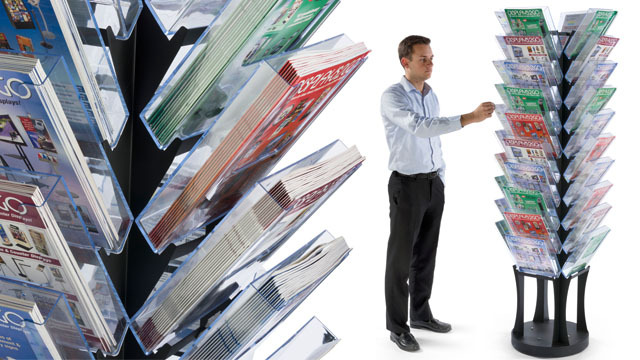 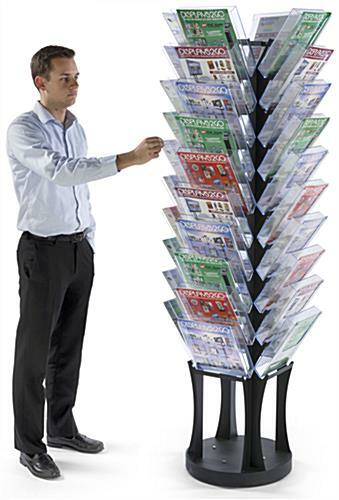 The sleek stands hold 8.5" x 11" magazines, brochures and pamphlets. 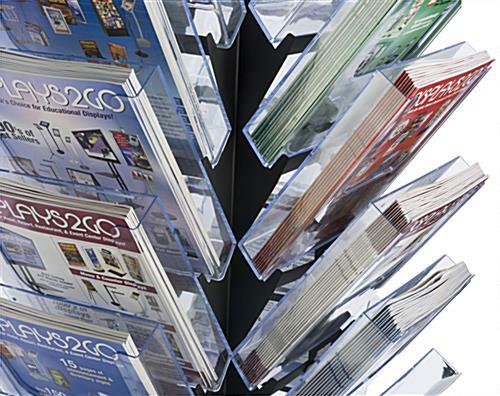 The racks can be placed in retail locations as well to make it easy for customers to find the books or periodicals they're looking for!